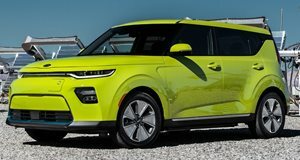 Revealed at last year’s LA Auto Show, the Kia Soul is all new for 2020 and brings with it a raft of new tech and sharp new styling that elevates it above most of the offerings in its crowded segment. While the standard variants offer incremental upgrades in terms of engine power and refinement, the Soul EV has moved the goalposts way up the road compared to its predecessor, 132 miles to be exact. 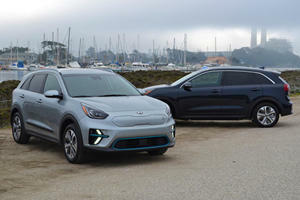 Equipped with a 64-kWh battery pack it shares with the Hyundai Kona Electric, the Soul EV can manage a commendable 243 miles on a charge. That places it in the middle of the current generation of all-electric crossovers and earns it an EPA equivalency rating of 114mpg combined. 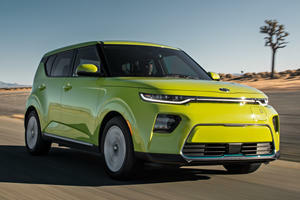 Power outputs are listed at 201 horsepower and 291 lb ft of torque (up from 210 lb ft) and the Soul EV comes very well equipped with standard LED exterior lighting, a raft of driver aids and can be optioned with EV exclusive features, like a customizable digital gauge cluster, adjustable regenerative braking levels and available UVO link connectivity. 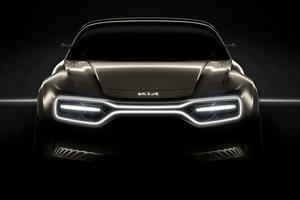 Notable extras include a 10.25-inch touchscreen display, Harman Kardon audio system and head-up display.